After hours sitting on an airplane, you finally arrive at your destination. But wait! 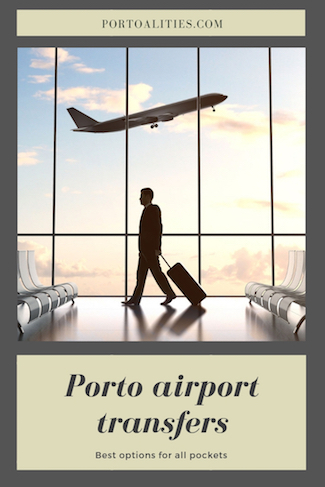 Porto’s airport is 20 minutes away from the city center by car and that’s on a good day! So in any case, airport transport is needed. 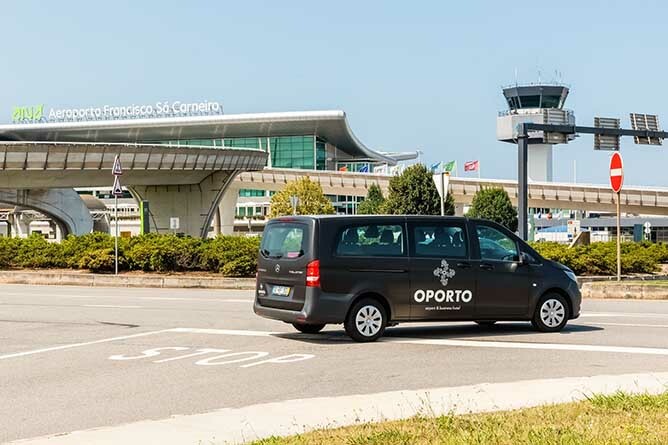 In this article, we talk about Porto airport transfers: do you really need one? What are the options? And how much does it cost? Do I need an airport transfer when I travel to Porto? 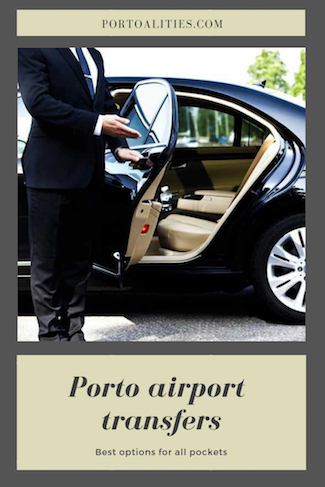 Like I mentioned before, Porto’s international airport is far away from the city center so you do need to use an airport transfer. There is an airport transfer that is cheaper than a taxi. And another suitable for people traveling with a lot of luggage. 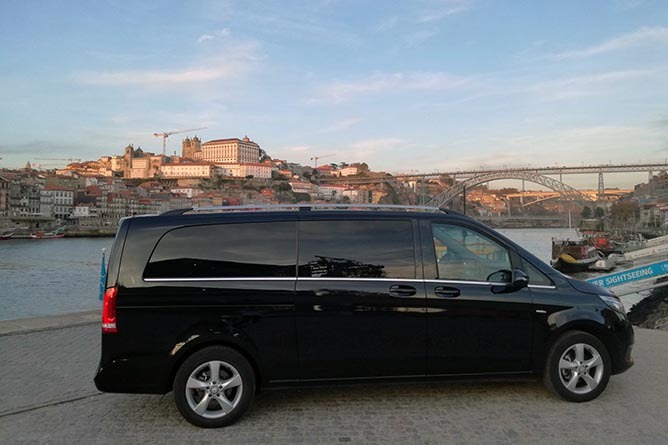 I also recommend specific Porto airport transfers for large groups and/or for those who want to have a luxury experience. Some companies have services for people with a wheelchair. You can also take the Metro of Porto, one of the best subway systems in the world and it’s conveniently located inside the airport. This is the cheapest option on our list of Porto airport transfers. It’s a shared one-way arrival or departure transfer. It cost €9.99 per person. This is only for those who want to be dropped off at the city center because if you’re staying elsewhere, there’s an extra charge. Each passenger is allowed 1 suitcase and 1 carry-on bag only. 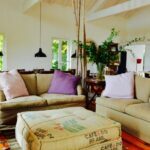 This is perfect for solo travelers, minimalist packers and small families (they provide car seats upon request as well). Another plus in this service is that they have drivers that speak English, Spanish and French. If you’re traveling with 3 people, you can book this provider instead. It is a bit more expensive but it’s private and the driver will welcome you upon arrival with a sign. The downside though, it only allows 1 bag per person. A third affordable option is a private ride by this highly-rated provider that allows a total of 4 large bags and 4 carry-on bags per vehicle. It will also wait for you with a sign at the gate. I have been personally working with a particular private transport firm that provides private Porto airport transfers called A Firma. I am extremely happy with its service because all the drivers are very polite, always on time and eager to help you with any inconvenience. 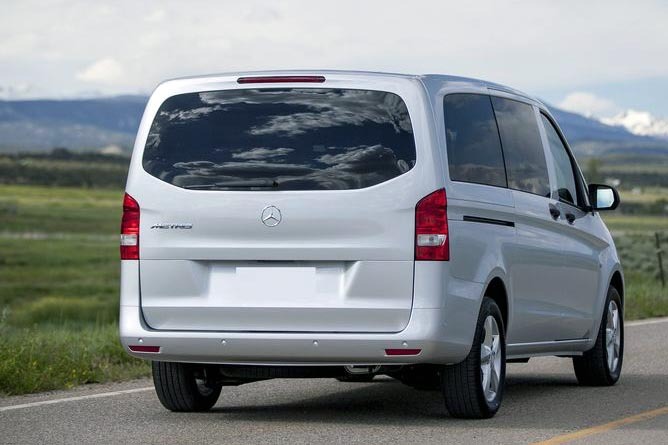 PortoAirportTransfersTO is one of the highly-rated Porto airport transfers. The company is not strict to large groups but it’s one of the few who provides transport for groups larger than 16 people. You can see the car models and prices online on their booking system which is convenient (except for the private coach). For 4 people, the cheapest option is around €25. This is great for large groups (max 49) like people traveling for business, conferences or weddings. This option is great to spoil your significant other or if you just want to ride in comfort and in style. It’s also great for small families. 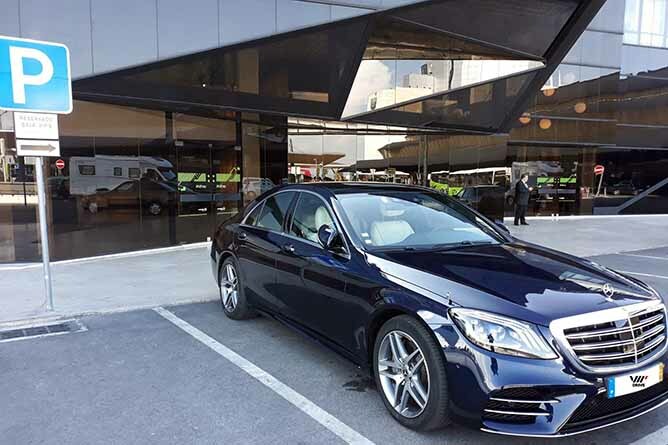 You also have VIP Drive, an extravagant option for Porto airport transfers. 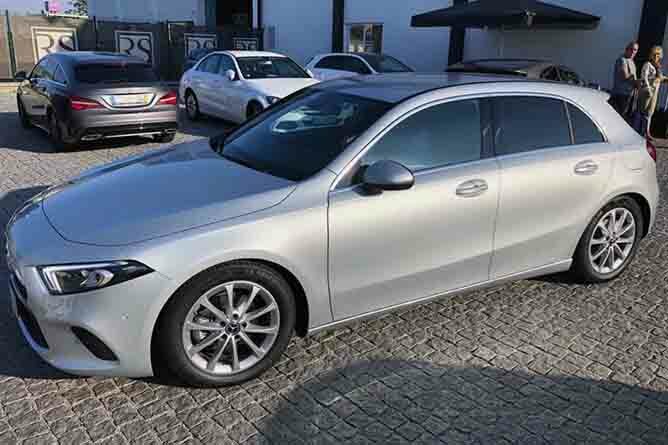 They have a wide range of vehicles like Mercedes Sedan, Mercedes minibus, a coach bus, a Limousine Hummer, Cadillac Fleetwood 1959…etc. 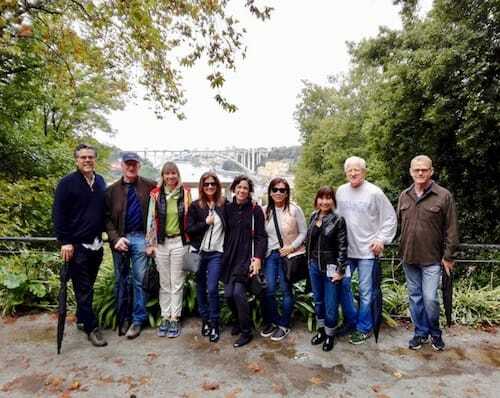 Many of the best hotels and apartments in Porto offer airport transport to their clients at an additional fee, so it’s always recommended to check with your hotel before the flight. 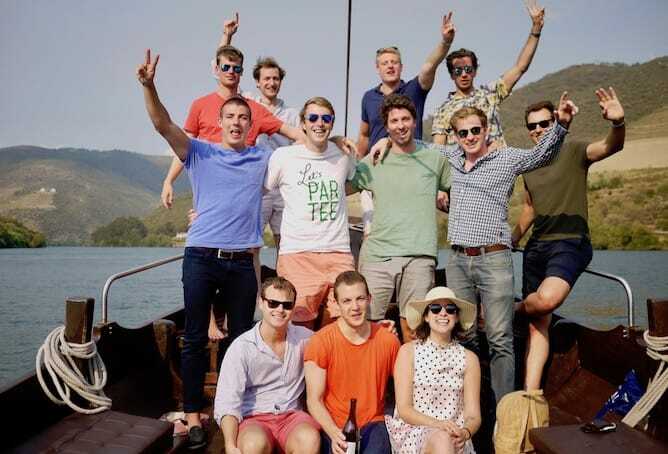 Apartments like the stunning Predicados do Douro Palace or the Armazém Luxury Housing offer airport shuttles. 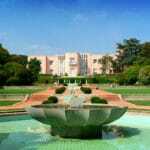 You also have hotels like the Art Deco masterpiece hotel called Vincci Porto and the very romantic Porto A.S. 1829 Hotel, both with Porto airport transfers available upon request. This option is good for people who don’t want to deal with bookings and want to go straight towards their hotels. Sometimes it’s the most convenient option to rely on your hotel for transport arrangement. This might require a bit of learning on your part, but that’s one of the reasons why traveling is fun (at least we think so). We’re very proud of the subway system in Porto as it has been recognized as one of the best in the world on multiple occasions. 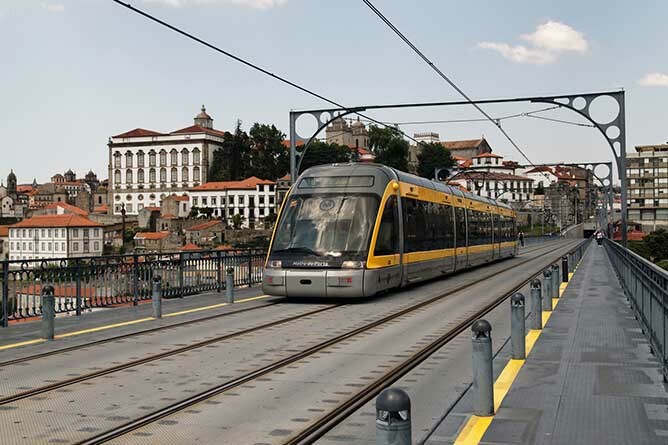 You will have to read our guide to familiarize yourself with how the subway works in Porto and then you’ll be good to go. The subway is conveniently located at the airport so you can go directly to many stations (Casa da Música, Trindade, Bolhão, etc.) without the need to change the subway line or to take a bus. It takes around 30-40 minutes to arrive at downtown Porto, but it’s an enjoyable ride since the subway tracks are not all underground. When you’re at the airport, make sure you purchase a card from the machine, charge it and scan it on the subway platform before you enter the train. The subway security does random checks on passengers’ cards and if you’re caught, you will pay a high fine. 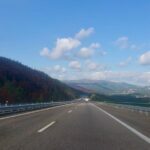 This option is good for environmentally-conscious people and for those who want to save money as it’s the cheapest of Porto airport transfers. If you’re carrying a lot of bags, maybe look for an alternative because other riders are traveling with their bags as well and it does get crowded. We have to admit, Porto needs to do a lot more to accommodate people with disabilities, but we’re getting there. 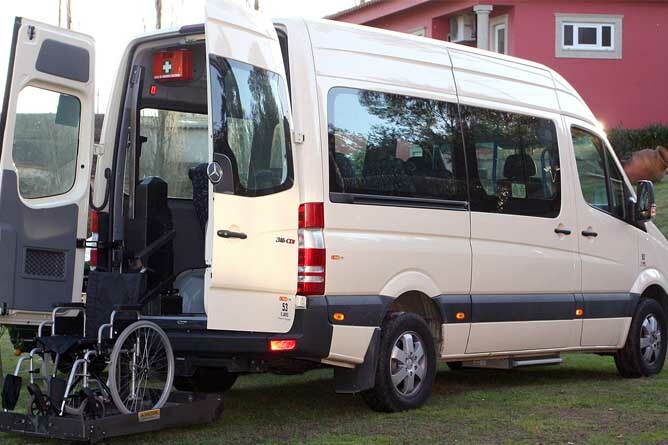 If you’re looking for a wheelchair accessible transport, Taxis Pinheiro provides a van with a platform that fits multiple people. This is one of the few private Porto airport transfers for people with a wheelchair. You can call them on +351 917 987 172 to speak English with someone and you can also email them on geral@taxispinheiro.com to get a quote. It’s also important to know that buses and subway stations in Porto are wheelchair accessible. Good news, Uber operates in Porto! And if you don’t have internet on your phone, worry not, Porto’s airport has Wi-Fi so you can order your Uber upon arrival. Uber is one of the best Porto airport transfers thanks to the convenience in ordering a car and paying for the ride. Also, the drivers here are professional, we always have a great customer experience. Just heads up, taxis are not a fan of Uber, so they sometimes get hostile towards the drivers. So always request your ride far away from the taxi stands to avoid any drama. This is good for people who are familiar with Uber and don’t want to deal with the hassle of finding a transport company or riding the subway after hours of flying. 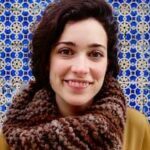 Well, you can skip all the Porto airport transfers we mentioned and DIY the whole thing by renting your own vehicle. 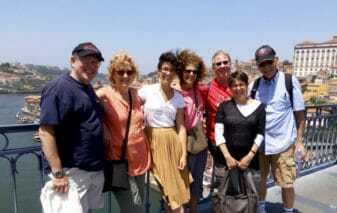 In many of our tours, we have worked with Sixt, as they are always very reliable and professional. However, they don’t have vehicles for more than 8 passengers. 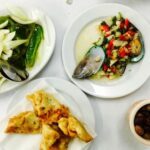 This is a good option for people who want to drive around Porto or do other road trips to the regions nearby like the Douro, Braga, Fátima…etc. It’s also good for those who love to drive and to experience the road wherever they go.